Why should you care about Battleborn? 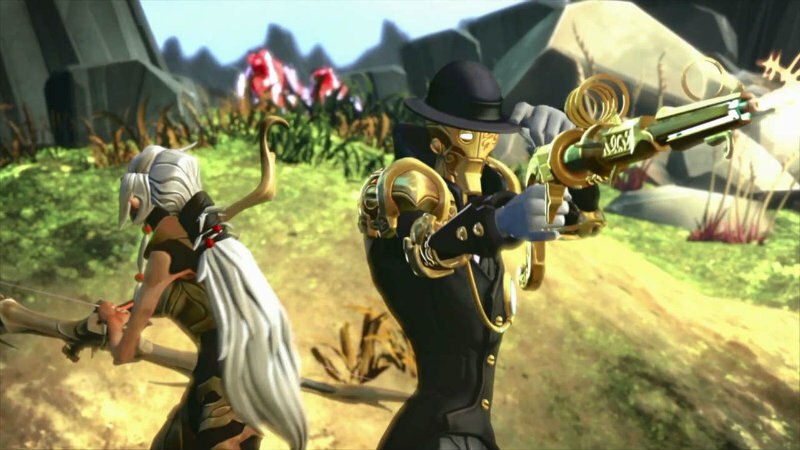 Gearbox’s newest IP, Battleborn, is gonna be on show at E3 this year. It’s looking pretty cool and was fun to play. You can read my words about it over here. However, why read my numerous words of opinion when you can watch a video explaining what makes it cool according to some rad people at Gearbox? Yes, the early part of my travels to America included a pre-E3 trip to Santa Monica to hear about Battleborn. I got an afternoon to play the game and some time to chat to people behind making the game a cool experience. Here’s what they had to say about their new IP. So Borderlands 3 is in the works, and they’re even hiring for that team. However, they didn’t want to be a studio that could only make one IP – before Borderlands launched they were adamant that studios should be involved in making new IP and trying out new projects instead of relying solely on existing IP and sequels. Battleborn is exactly that; it’s a new project that they hope will appeal to people who are fans of the FPS hero-shooter with RPG elements. While it can be played alone, it’s much more focused on co-op and thanks to the variety of heroes to choose from, it could even lure over a few MOBA fans who are looking for something different. I like what they have to say about the game, and I think anyone who likes an FPS with some RPG elements will probably get a kick out of Battleborn. However, players will need to stop comparing it with Borderlands or they will be sorely disappointed. It’s going to be difficult for Gearbox to convince players that Battleborn is worth it, but if they’re successful, they could end up with another powerful IP in their stable.